programme, in Forest Row, East Sussex. South East Alexander School’s main website. This unique, professional training course offers students the opportunity to study in-depth the work of F.M. Alexander- his principles of inhibition, direction and means to psycho-physical re-education, how to apply these to oneself and how to effectively teach these to others. This rich area of study will be approached creatively, holistically and in a variety of ways, enabling students to grow, develop and change on all levels. Whilst this training primarily focuses on learning to work on oneself, it will simultaneously equip students with the tools and skills to teach the Alexander Technique professionally. This training recognises that physical change comes hand in hand with emotional, psychological and energetic change, and both honours and welcomes these inevitable changes as an integral part of the training process. This teacher-training course is arranged to enable students to continue to work if need be. The training will take place during the daytime on Mondays and Tuesdays, spread over three terms each year. Students will also receive termly tutorials and 1-1 lessons, by arrangement. Additionally there will be annual long weekends of extra training work during the Easter and Summer breaks where specific themes can be further explored. Students are also required to undertake project-based work on a chosen area of interest connected to the Alexander Technique, to be independently studied / researched and presented as a written paper of approximately 5000 words. As an important part of the training, students are asked to document their personal journey of psycho-physical change by keeping a journal or learning diary, and to present extracts of this once a year, in the form of an essay. Additionally, students are required to make a commitment to an ongoing practice of ‘working on oneself’ for a minimum of one hour daily, outside of training course days, and to have a minimum of 10 private lessons outside of the training course, spread throughout the year. The South East Alexander School acknowledges that students come to train with differing backgrounds, Alexander experience, age and life history, all of which affect the training process. Therefore the length of time it may take to deem a student confident, competent and ready to teach the Alexander Technique will vary. It is expected that training will take approximately 3 -4 years. The final decision will be made by the training course director, in consultation with the other teaching staff and with the student. Students will graduate with a teaching certificate of competence to teach the Alexander Technique, and will be eligible to apply to become a teaching member of the Alexander Technique International (A.T.I.) by undertaking A.T.I.’s ‘evaluation process’. (Whilst training, students can choose to join A.T.I. as a trainee member). It is at the point of graduating and then making the delicate transition from student to fully-fledged Alexander teacher that ‘the real learning’ begins! The first few years of teaching is commonly a time rich with questioning what one has learnt and how to apply this meaningfully to pupils, and can also often be a time of confusion, self doubt and feeling alone with ‘the work’. Therefore it is crucial that new teachers receive as much support as possible whilst making this important transition, so as to build confidence and boost positivity around teaching practice. The South East Alexander School offers monthly weekends for new teachers, providing a space for supervision, hands-on input, reflection on teaching practise, constructive feedback and further training input, as determined by the needs and wants of the participants. Participating in post graduate support weekends is seen as an integral and important extension of the training process. To be eligible to join the South East Alexander School, prospective students must have a sound prior knowledge and experience of the Alexander Technique through having had sufficient private lessons or by attending workshops. Students must be ready to commit to a profound process of learning and change, and have the means to pay the full fees at the required times. If granted a place on the course, a non-refundable deposit equal to one term’s fees will be required, which will be deducted from the final term of training. Once training has commenced, the first term will be probationary. To leave the course before the final term, at least one term’s notice is required. The teaching team will consist of regular teachers and visiting teachers. Delia has been involved with the Alexander Technique for most of her life: Following a childhood severely effected by knee-pain and resulting physiotherapy and surgery, she finally found relief from this aged 14 when she discovered the Alexander Technique. Delia went on to train as an Alexander teacher, graduating from Fellside Alexander School in 1989 under the late Don Burton (trained with Walter Carrington). Since then Delia has worked in private practice, run numerous groups including post-graduate workshops/ supervision, taught in a BUPA hospital, at The London Haven (breast cancer clinic), in various drama schools, on a yoga-training course, a Natural Horsemanship training course and also run corporate workshops. She has worked as a teacher-trainer at Fellside Alexander School for many years and on other AT training courses in the UK and abroad, where she has also lectured in practical anatomy and embryology. 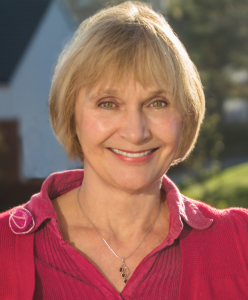 Delia has pioneered ways of applying the Alexander Technique to people experiencing trauma, shock, bereavement or recovering from surgery, and is well known for her depth and sensitivity in working. Delia also runs acappella singing groups and offers specialised workshops integrating voice and breath work with the Alexander Technique. Additionally Delia is a Brandon Bays-trained Journey practitioner. She is a teaching member of Alexander Technique International (A.T.I. ), and is also an A.T.I. Sponsoring Teacher. Delia lives in Forest Row with her husband and 2 children. Her successful book, The Art of Changing, (1989), in addition to giving a thorough introduction to the Alexander Technique, explored the way the technique can be applied to emotional and energetic patterns of use. She has developed a way of working with energy centres in the spine, the chakras of the Hindu and Yogic traditions, which complements her Alexander work. This has led to an understanding of the central importance of the spine and head, as our physical and emotional integrating core. In addition to teaching the Alexander Technique, Glen has led many workshops for actors and musicians, Alexander teachers and trainees exploring these energy centres and finding ways to encourage integration and flow in the spine and head through awareness of psychological as well as physical interferences. Ruth Polden is a yoga facilitator and mentor. Her work is inspired by Vanda Scaravelli and informed by somatic movement practices: in particular the Feldenkrais Method, Contact Improvisation, Mind Body Centering and The Alexander Technique. 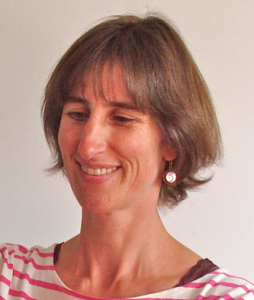 Ruth is a tutor on the faculty of The London Yoga Teacher Training Group and a senior tutor on The YogaBirth Training Course, preparing yoga teachers of the future. 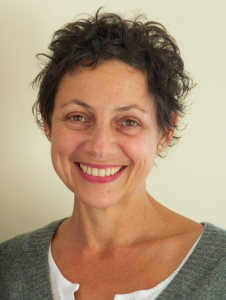 Ruth is a YogaBirth teacher and Active Birth teacher, trained with Janet Balaskas in 1991. She has been following her passion supporting and empowering women through their life journey for over 25 years. Ruth came to yoga after a career as a dancer. She performed, and choreographed in Europe and Israel. She was a lecturer on the dance faculty at Eastbourne University and Dance Foundation Course Hammersmith Education Centre. She enjoys dancing, music, walking, cooking and now lives in Sussex with her husband and 2 children. Various visiting teachers will also teach on the course. or visit the South East Alexander School’s main website.